This pet is sold by vendor Michelle De Rum, an NPC tribute to Drrum, a long-time WoW pet collector and the creator of a gorgeous gallery of companion pets and mounts. The vendor can be found inside Everlook's inn in Winterspring. Nice pet. I use it to lvl other pets in Crystalsong forest. Thanks to the speed and devour ability, he never dies versus the critters there. 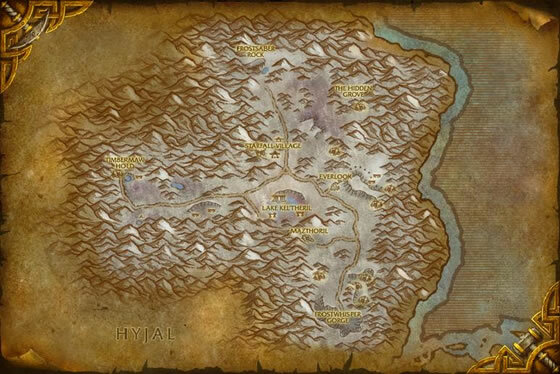 Easy and fast leveling there. Why do you people buy this from AH? That is correct. You need a battle stone to get a rare one. 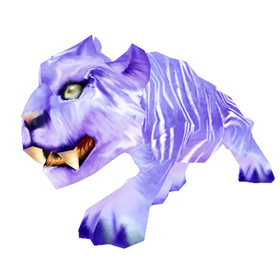 I usually summon this pet while riding my Winterspring saber. Is it correct to presume that this pet cannot be purchased as a rare? I haven't seen anything that says so, but I suspect that is the case. Can anyone confirm? 45 gold at level 90. The Vendor 'Michelle De Rum' is located inside the Everlook inn. The pet sells for 50g (no faction associated, but level 24 guilds will get it for 45g, and Goblins for 40g(or 35g if in a level 24 guild, I believe). It is bind on use, so you can also pick it up at the auction house(for an inflated price, I am sure). This is NOT the same cub from the new Wintersaber Trainer Quests for the mount. Just bought this little guy and got the panther cub from the quest they are both so adorable!! Just climbed on to the boat from Booty Bay to Ratchet with this guy. As the boat departed he slowly slid back and then did litle runs towards me until he was running on the spot in the far room of the boat! Cutest little bugger ever! My main is not friendly with the goblins so I wondered if I can buy this little guy on an alt and send it to her?